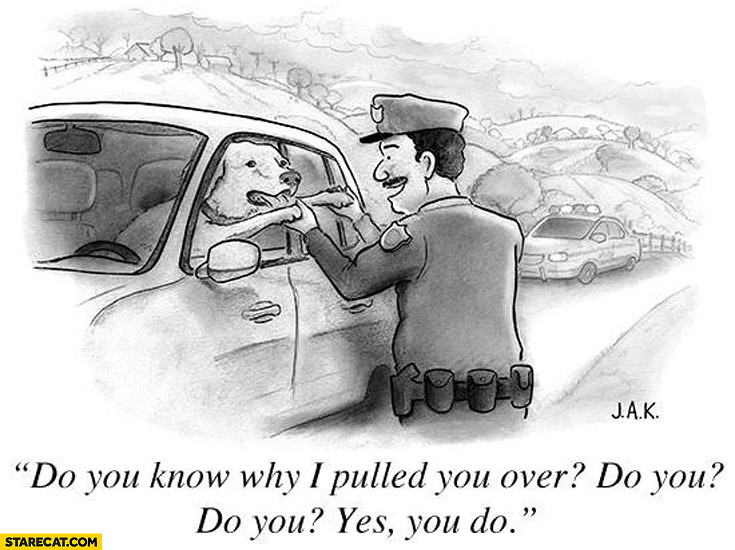 Dog driver policeman do you know why I pulled you over? Do you? Yes you do!